Extensive research went into choosing a place for my teenaged children to ski for the first time. 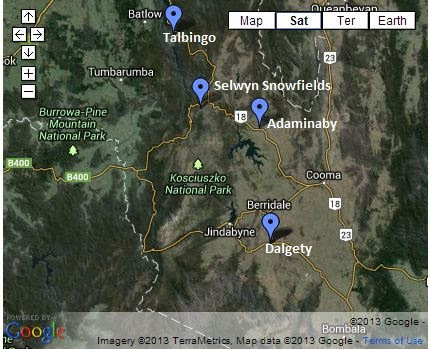 The Snowy Mountains was the closest and Selwyn Snowfields the cheapest, particularly since my fifteen year old still counted as a child whereas at Perisher and Thredbo she did not. The next choice was where to stay. 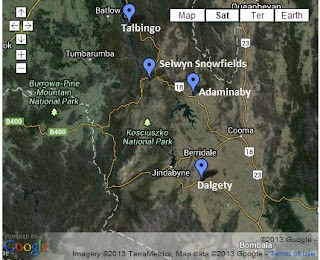 From trawling the Internet it narrowed to a house in Adaminaby, various places in Talbingo and a country cottage in Dalgety. The Dalgety cottage was my personal favourite due to its isolation and modern facilities. The pictures provided on the website matched my plan to write all day and sip red wine by a fire in peace and quiet. However, the other three members of my family would have had to travel 1.5 hours each way to ski. With a sigh I relinquished my dream. The house in Adaminaby, Swansborough Cottage, a mere thirty minutes from Selwyn, was also on a small parcel of land but when we made enquiries via TakeABreak the owners did not respond and TakeABreak kindly issued an unprompted apology for the inconvenience. That left Talbingo. Talbingo had a few places listed to rent but some weren’t available for the period we wanted and some were too expensive. It had to be somewhere I could picture as my cave for four days straight so the rooms had to be aesthetically pleasing and comfortable, warmth being the number one priority. 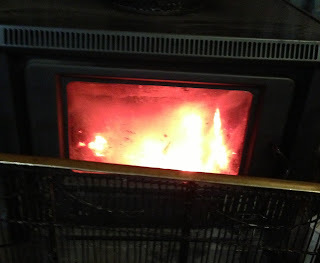 ‘The Cabin’ had heaters listed and I was impressed by the plural form. It was also convenient to shops. The photos showed stylish but stark living areas. It claimed to be pet friendly but upon enquiry it turned out this was for outside dogs only. My dog sleeps on the bed at night and was never going to cope with the cold of Talbingo. We had him looked after at home instead. The mistake I made, realised soon upon arrival, was that I didn’t think about what hadn’t been mentioned or pictured on the website. The photos were an exact replica of reality but I hadn’t noticed the absence of bedside tables and lamps or side tables in the lounge room. The bathroom hadn’t been pictured at all. It was still the original 1960’s bath, basin and shower. 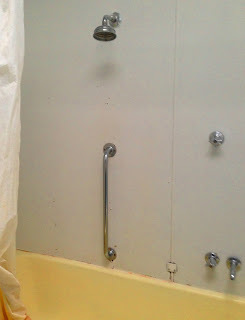 The one and only toilet was in the laundry where another equally old shower existed with no grate over the drain. It scared my daughter as she imagined snakes and spiders coming up through it. There was no washing machine, no toaster and nowhere to hang clothes. My husband had a business meeting in Gundagai at the end of the week but was unable to iron his shirt. The only cooking utensil I was willing to use was an electric frypan. It made excellent eggs and bacon. The cabin was located within a short walking distance half way between the two places where you could eat at night. The first and last night we had Chinese at the Talbingo Country Club, both times being the only people eating in. It was typical Australian Chinese eating without the flair of our local Sydney establishment but it was fresh, hot and yummy. A beautiful addition was the managers’ cute little boy who waved and blew kisses before he left for bed each evening. The other eating joint we visited twice was the Talbingo Lodge. The first time was for Tuesday's All You Can Eat Pizza Night and the second was the night of the second State of Origin match and when Kevin Rudd became Prime Minister again. The Talbingo Lodge had been locked up for about a year, looking for someone to love and care for her. Three months before our visit a new owner came along, a regular holiday maker in Talbingo, originating from Cootamundra where he has a similar establishment. The bar and grill is eclectic with various paraphernalia stuck around, like caps and hats hanging above the bar, skis and golf clubs stuck on the walls and ceiling, a games room for the kids, including an X Box with a car racing game which won my son over. As per my penchant for heat, both nights we selected the table nearest the wood heater which also happened to have the best view of the large screen TV. A bottle of Merlot just added to the warmth and glow. The snow wasn’t plenty but it was enough for my learner family. My son is in love, skiing now only comes second, behind cycling, in his list of favourite sports. My daughter now feels ready for her French exchange student program in the dark depths of their winter with a family who is passionate about snow sports. I’m a teacher by trade and passion. I marked 45 essays, I researched for a report about technology in education and I dabbled with different writing projects. It was peaceful, productive and very importantly, warm. It was almost the perfect holiday.